Successful gardening comes from a combination of learning about plants and how they grow and applying the techniques that help them flourish. 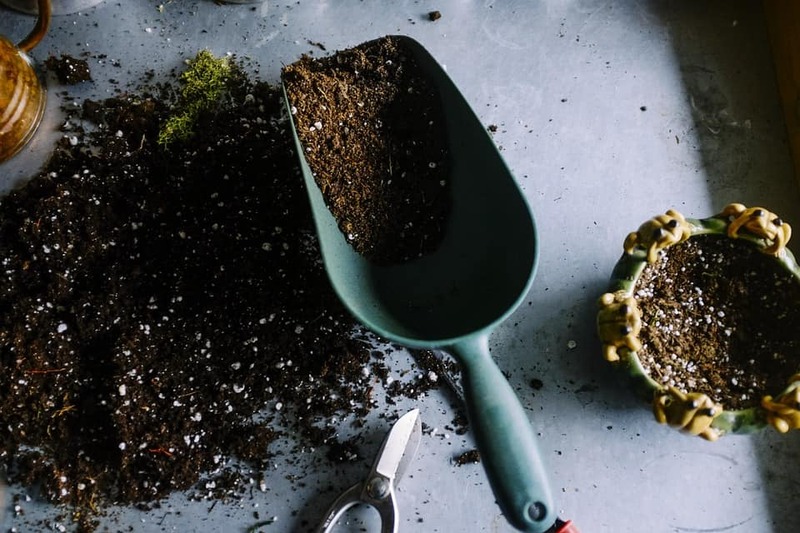 One of the basic aspects any gardener needs to understand is soil types; here, we look at garden soil vs. potting soil and when to use them. A simple question – what is soil? Before we begin, we need to clear up one thing from the outset: despite what you may have heard or read elsewhere, soil is not “dirt”. 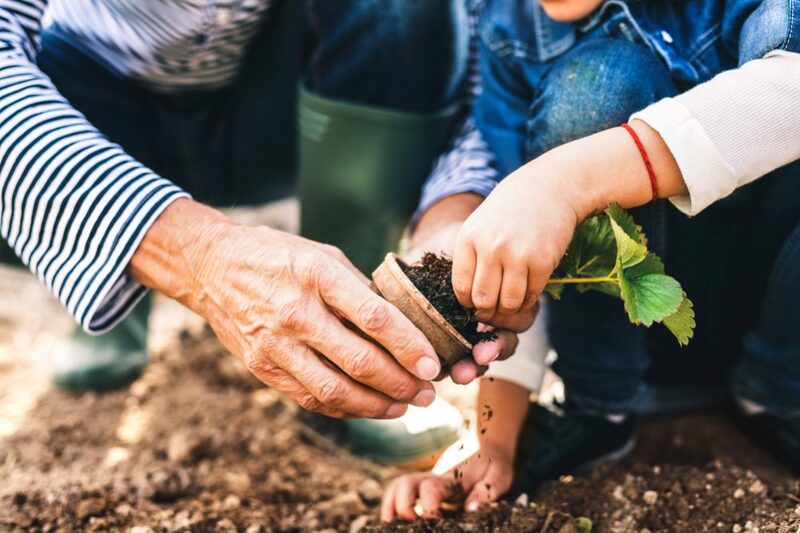 Although we might casually and colloquially refer to the “earth” or “soil” in our yard as “dirt”, as gardeners, this term is very unhelpful, and we should avoid it. “Dirt” is something that makes things “dirty” and may include dust, excrement, soot, oil and so on. The soil is what plants grow in, and as gardeners, we need to take an interest in the composition and properties of soil because all soils are different – as are the preferences plants have for different soil types. If we want our garden to thrive, we need to understand this very basic concept. There are at least six types of soil: clay, chalky, sandy, silt, loam and peat. 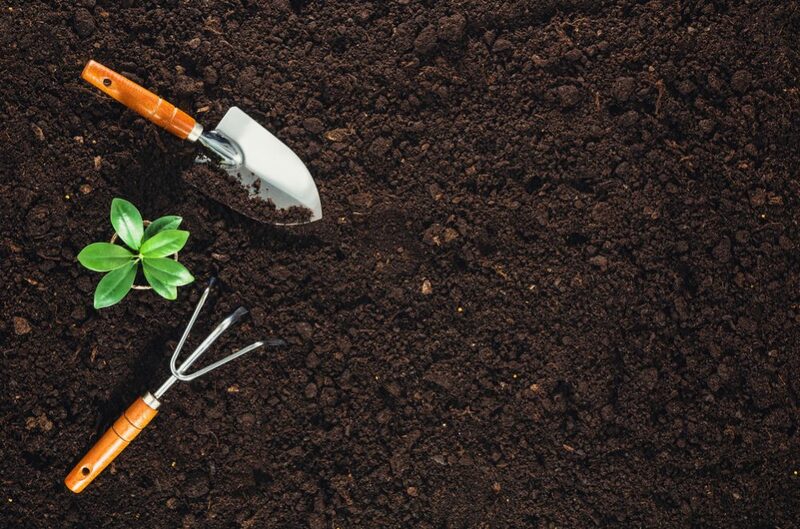 The composition of the soil in your yard will depend greatly on where you live, but it will be made up of organic matter along with a mix of sand, clay, silt and other components in varying amounts. Now let’s move on to the difference between garden soil and potting soil. 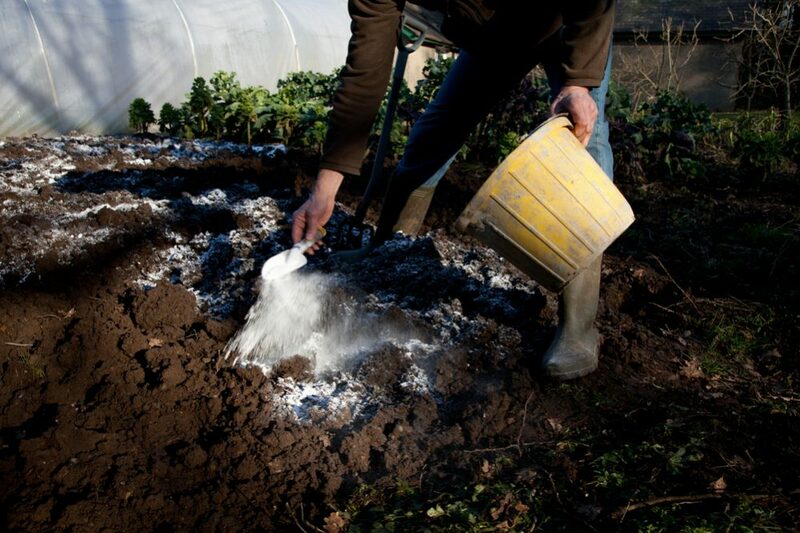 The soil that covers your garden for up to the first 12 inches is topsoil, and below this lies the subsoil. As we have mentioned, the composition of topsoil – and therefore its properties – will vary depending on where you live, but in general, it is dense, heavy and holds water. 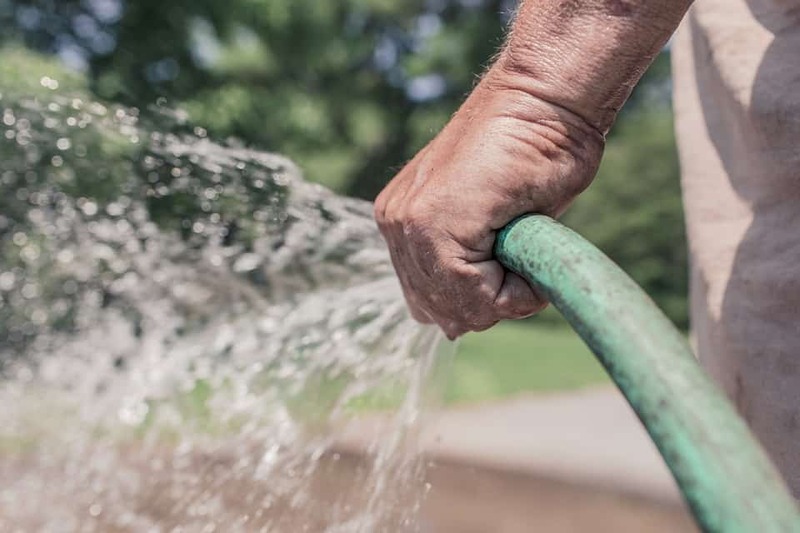 If you live in a sandy area, the soil will drain more quickly and dry out faster; clay-rich soil holds water for longer and takes longer to drain. Topsoil has formed over millions of years as animals and plants have lived and died in it and is often rich in nutrients – although not necessarily so. It also contains living matter, including microorganisms, fungus and seeds. When required, you can buy topsoil from garden centers, where different types are available. Another type of soil available for purchase is known as “enriched topsoil”. This is similar to the regular topsoil sold at garden centers but also includes added organic matter, making the soil more fertile. We’ll talk about when to use enriched topsoil below. 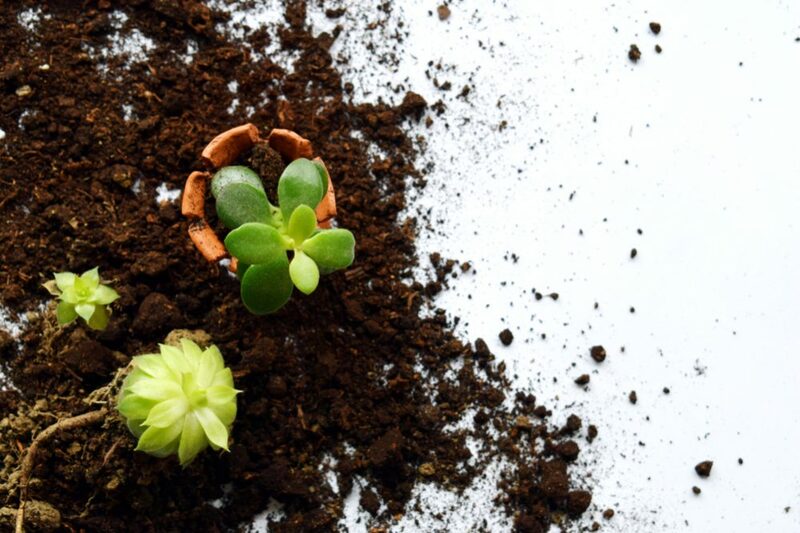 The first thing to know about “potting soil” is that it is not technically soil – we just use this name to refer to it since plants grow in it the same as in real soil. Like true soils, the composition of potting soils varies – they are a combination of different components mixed together for specific purposes (i.e. growing different types of plants), and there are many different recipes. 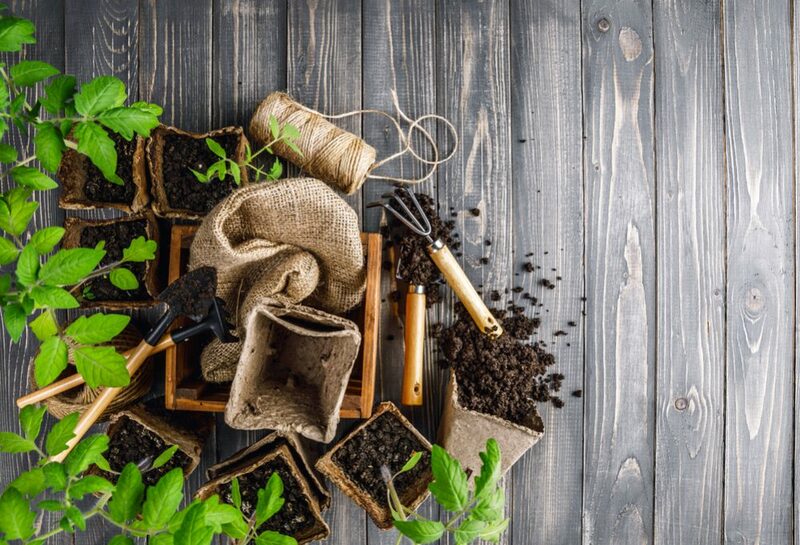 A typical potting soil may contain peat moss, bark and organic materials such as sawdust. 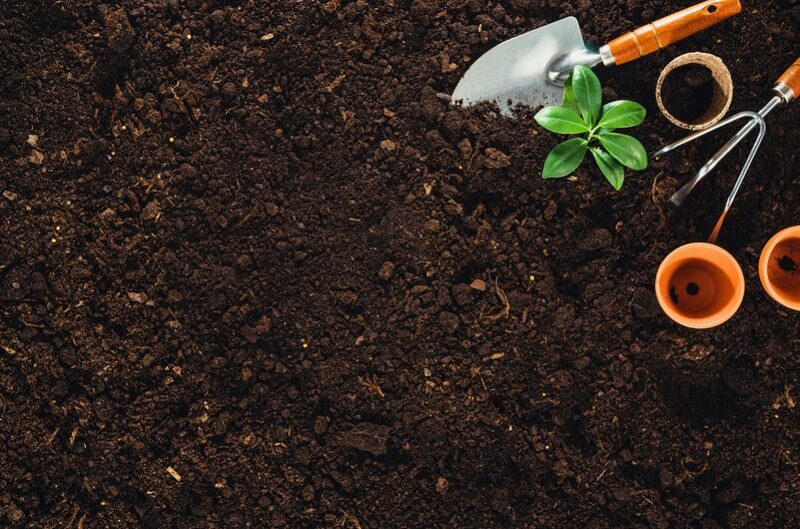 The properties of potting soils contrast with topsoil – while topsoil is dense and heavy, potting soil is light and fluffy. While topsoil retains water and doesn’t drain well, potting soil doesn’t hold water and drains easily. Potting soil also contains a lot of air, and as it drains, it pulls in more our, helping the plants growing in it to breathe. Since it is light, fluffy and full of air, it is easy for roots to grow and develop in potting soil. 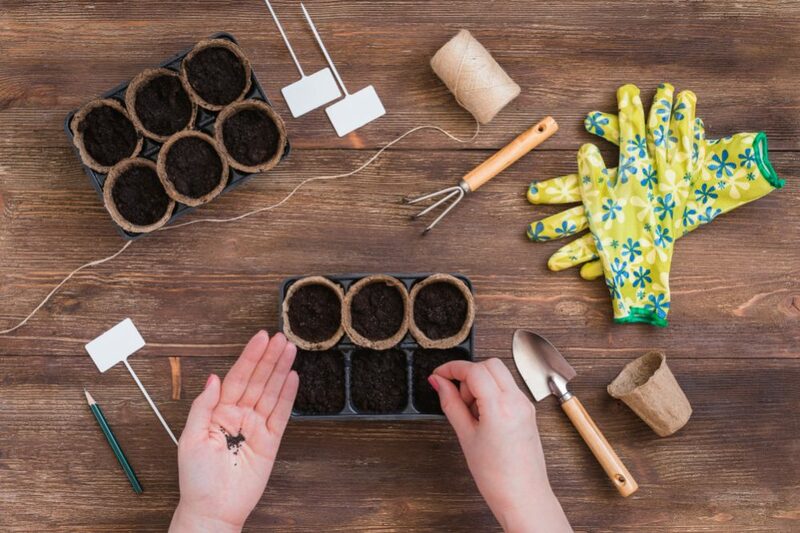 Another important quality of potting soil is that it is sterile: it doesn’t contain any microorganisms – or seeds from other plants or weeds that will then germinate once you add water. As we mentioned at the beginning, successful gardening depends on knowledge about plants and the skills to apply that knowledge correctly. 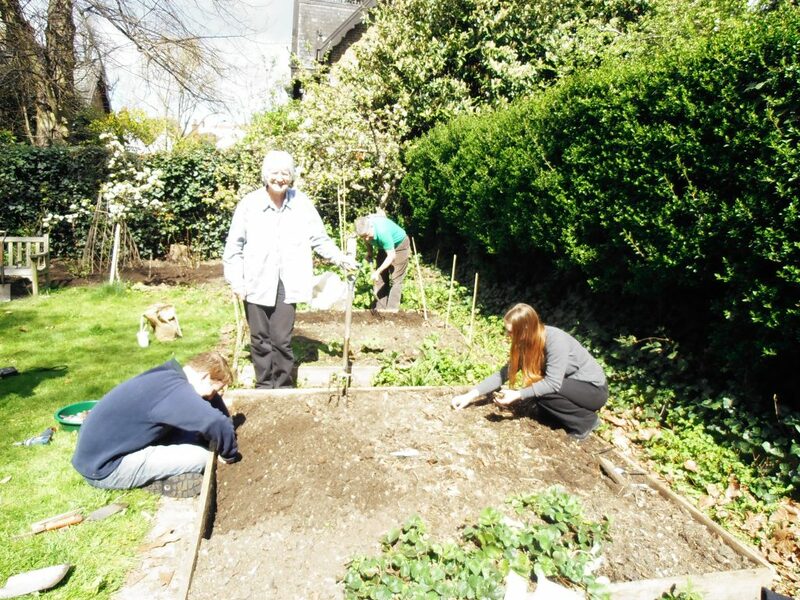 Knowing when to use which kind of soil is a key aspect of gardening. 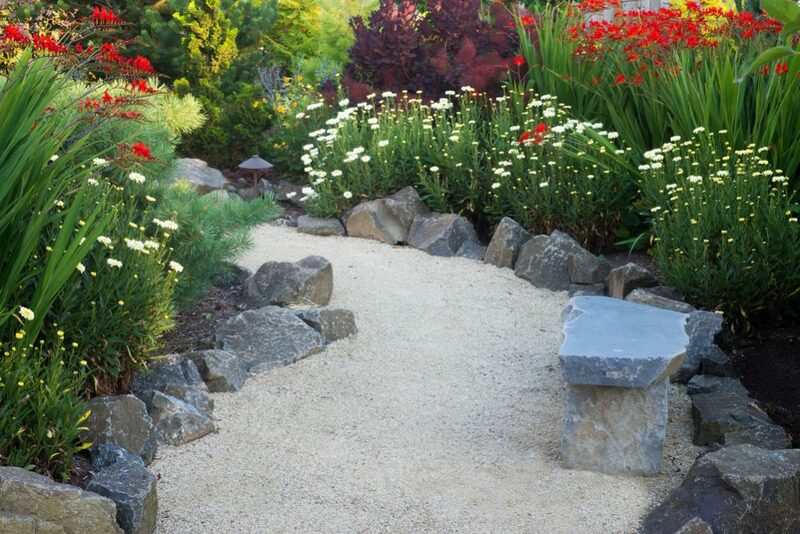 Topsoil is best used outside in open gardens; if you need to fill low areas or holes in lawns or, for example, fill in areas around patios, you should use topsoil. Topsoil is also useful for areas where you want to grow trees or shrubs – bought pulverized topsoil that is easy to rake and that drains well is ideal for this. As a rule, if you don’t need to improve the soil quality but just need to fill in gaps, regular topsoil is the best choice. It is also the cheapest. However, if you want to improve the soil quality in one part of your garden to encourage strong growth, for example in a raised bed, enriched topsoil can be a better option. Remember, though, that enriched topsoil is more expensive, so consider carefully before buying. Potting soil is ideal for use in containers – if you grow plants in window boxes, hanging baskets or similar, potting soil is a better option. 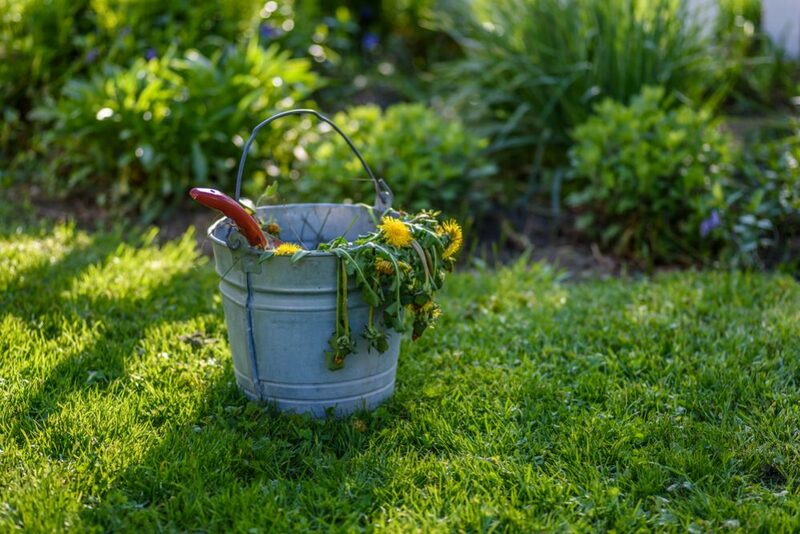 If you use garden soil in containers, it will retain too much water and your plants may become waterlogged. Potting soil, as the name suggests, is also ideal for growing plants from seed in pots before you transfer them to your garden. 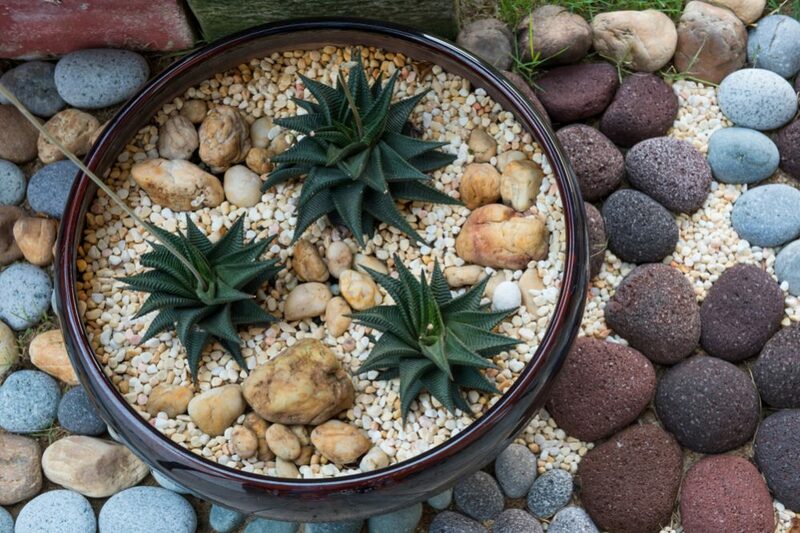 Since potting soil is mixed for specific purposes, many different types are available, and you should make sure you buy the correct type for the plants you are hoping to grow in it. Above all, don’t simply assume potting soil is somehow “better” than topsoil and that plants will automatically grow more strongly in it. Potting soil is more expensive than topsoil or enriched topsoil, but it needs to be used in the correct way or you will only end up wasting your money. As we have seen when comparing garden soil vs. potting soil, they are quite different, and both have their specific uses. Neither is “better”, but depending on what you want to use it for, one is always more appropriate. You should understand what each is used for and choose accordingly.